Bara Beach, Bira, South Sulawesi – one of Indonesia’s quieter, stunning beaches. Far away from the hustle and bustle of towns and cities, Bara Beach Bungalows sits directly in front of Bara Beach and Flores Sea. Whether you’re in need of a quiet getaway or looking for an adventure, Bira is surely the right place for you. Wake up to the birds chirping, the sun shining (on most days!) and spend the day sinking your toes into the soft white sand. Explore the beautiful underwater world by snorkeling or diving at the house reef and the islands nearby. If you’re feeling adventurous, visit Bira’s traditional phinisi boat building shipyard further along from the harbour. Hidden caves and cliff views, you ask? Yes! If you're up for exploring, you can find these less than half an hour away from our resort. For families with young children, our main terrace is perfect for parents to enjoy a drink while watching over their kids playing in the shallow waters. There are also board games available in the restaurant for the ideal family holiday. 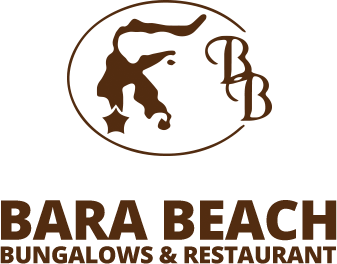 Bara Beach Bungalows is a great spot for all travellers – Solo explorers, honeymooners, families and groups of friends.